Nosocomephobia, or the fear of hospitals, is a surprisingly common medical phobia. In fact, U.S. President Richard Nixon was said to have a fear of hospitals, reportedly refusing treatment for a blood clot as he was concerned he would "not get out of the hospital alive." Many people who have hospital phobia are also afraid of doctors (or suffer "white coat syndrome," during which blood pressure actually rises at the doctor's office). However, nosocomephobia can also occur alone. Some people are afraid of the building itself, others of what it represents. In this case, the choice of facilities can make a difference in your level of anxiety. Newer designs, for example, incorporate peaceful colors, spa-like facilities, and such patient comforts as Internet access and private rooms with beds for loved ones. Surprisingly, many insurance providers will pay for either type of hospital, so check with your insurance provider. Iatrophobia, fear of doctors. Though doctors and dentists are the most common objects of fear, some people are afraid of nurses, lab techs and others in the medical field. Claustrophobia, fear of enclosed spaces. If you suffer from claustrophobia, you might dread CT scans, MRIs and other tests that require confinement. 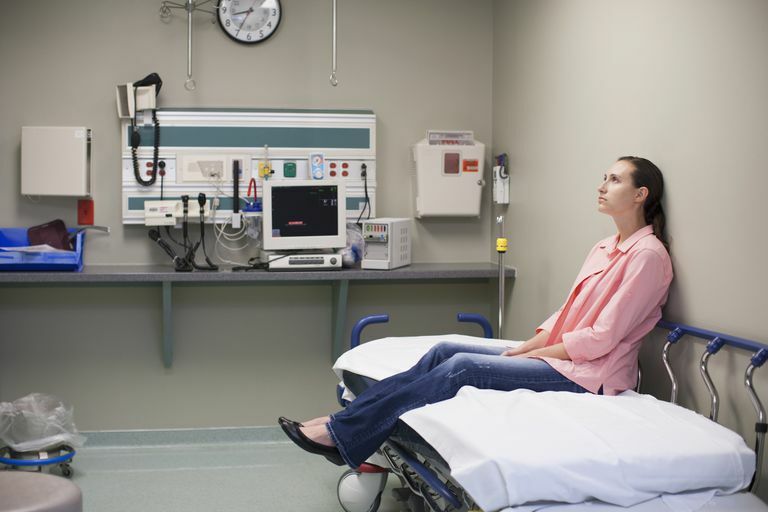 Since it's pretty normal to feel nervous before visiting a hospital, it can be difficult to tell whether your symptoms constitute a full-blown phobia. Only a qualified mental health professional can make this determination.